Five days before the Taliban hostage captured 235 villagers who were arrested and detained in Afghanistan's northern Saripal province. Provincial officials said this on Wednesday. Provincial governor's spokesman Jabi Amani said after the talks with the senior members of the tribals, the Taliban released the villagers. However, still unknown number of civilians are believed to be in the custody of the Taliban. Civilians fleeing the Taliban's occupied area are staying in the mosque or their relatives house. The local administration has been providing food and other assistance to them. At the same time, finding permanent solutions to problems is also being discovered, a spokesman said. 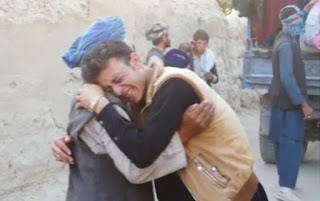 Amani said, after the Taliban took over control of Sayed district, 52 civilians including men and women were killed in the village of Mirza Awalong. Most of the victims are Shia and minority Hazaras. Although Taliban spokesman Qari Yusuf Ahmadi acknowledged accepting the control of the area, Mirja Walang denied the killing of civilians. The IS has not made any comments about the attack till now or did not say anything about whether the Taliban had joined hands with the opposition. For the last few months, there have been reports of the Taliban war with IS-related groups in different provinces. Most of the IS-supported groups in Afghanistan comprise Dalchut members of the Taliban. After the two days of intense fighting, the Taliban occupied the area of ​​Saripal province on August 5, after the Afghan army was overthrown. However, the spokesman Amani said that the Afghan security forces would launch an operation to revive the area soon. Afghan President Ashraf Gani condemned the killing of Saripal. Meanwhile, gunmen attacked four women activists in Bagram Airfield, US Base Military base in Parwana province on Wednesday. Provincial Police Chief General Zaman Mami said that one killed and another seriously injured. Someone did not accept responsibility for the attack immediately. In June, the Taliban killed six Afghan security guards by attacking the base.